Mt Buller is located a short 3 hours from the centre of Melbourne and has a variety of terrain for all skiers. It is situated in the beautiful Alpine area of Victoria, with breataking views and great snow conditions. Enjoy the warm and cosy atmosphere at Alpine Retreat, with a multitude of activities to keep your group entertained after a day on the slopes. Facilities include a pool and tv/games room, as well as a delicious Italian restaurant to keep everyone fueled for another day on the slopes. Valid for travel in low season 2019 (June & September). Please enquire for alternative dates. Depart school early. 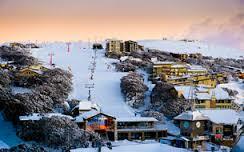 Arrive in Mt Buller, get fitted for ski and snowboard gear and then settle into accommodation. A 2 hour lesson at Mt Buller followed by free skiing for the afternoon. A 2 hour lesson in the morning and the afternoon off to explore Mt Buller, before night skiing for the evening. The last lesson and skiing before boarding the bus in the afternoon to return to school.